We often encounter clients that are interested in tracking their inventory using RFID. They heard that it’s a great technology that would increase efficiency and simplify their daily efforts of tracking their inventory, which they have been (until now) doing manually. While this is true, they often don’t realize that all comes at a cost (or they do but have no idea about the RFID cost), there are really no plug and play solutions (due to the fact that everyone’s environment, business process and items are different) and pure RFID may not be the most suitable way to go. Therefore, we have decided to bring a little bit more clarity into choosing which technology would suit which instance and what it means as far as costs and timelines. Let’s break each technology down by the components that you will need in order to deploy an inventory tracking system. All of the categories below apply to all three systems, whether it’s RFID, NFC or Barcode but in slightly different form factors or function. As far as automatic identification, you cannot do better than RFID. While the technology offers various read ranges (depending on frequency, tag size and environment, using UHF frequency, which is the most commonly applied for inventory tracking, you will achieve read ranges from about 3 to 15ft, plus minus few feet), the fact that you don’t have to point at each tag individually to read it (like with barcode), and therefore, you can collect inventory of hundreds of items in one swoop of a handheld or one pass by the fixed reader, recommends it as the way to go. 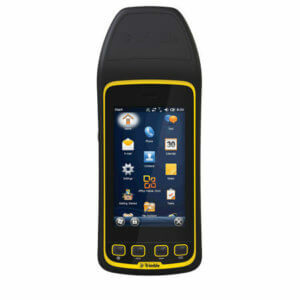 UHF passive RFID mentioned above is the most common technology used for inventory tracking. 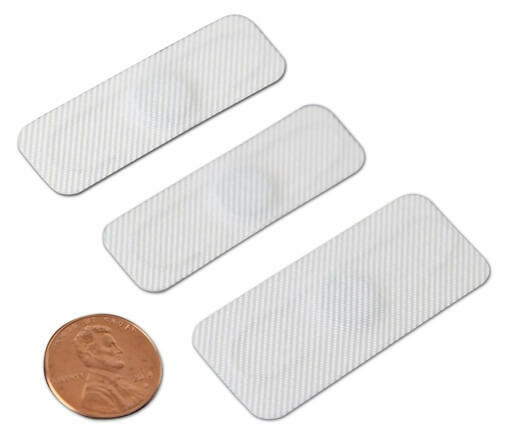 However, there are also other technologies used such as Passive Low Frequency LF RFID at 125 kHz (short read ranges but good penetration of materials) or Passive High Frequency HF RFID (short read ranges, but small tags and good penetration of materials, this is often used in tracking pharmaceuticals). 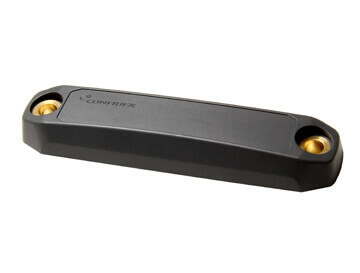 Active RFID in UHF or Microwave range can be also used for inventory tracking, where long distances and fast reading are necessary such as for container tracking, rail car tracking, toll collection and other applications. However, all information below pertains to passive UHF technology. You will need to count one tag per tracked item aka amount of items you want to track = quantity of tags to order + extras (tag gets damaged, or new item needs to be tracked). 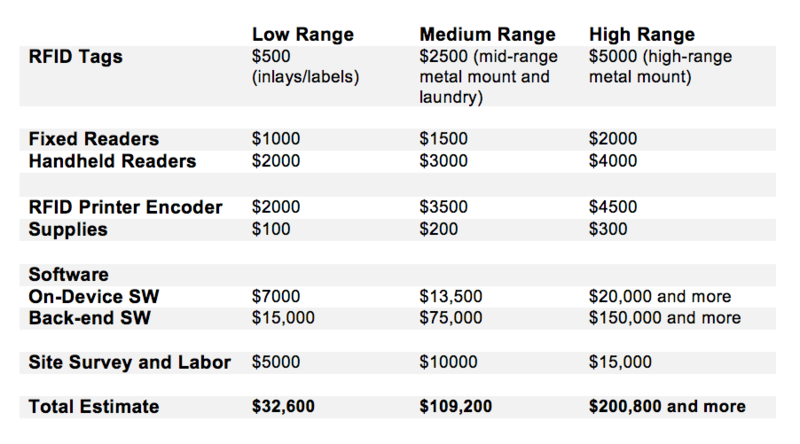 Tag cost depends heavily on the quantity, as well as the type of the tag. Low quantities (100, 200, 300 tags) often incur extra cost as this amount is under the manufacturer’s or supplier’s MOQ (Minimum Order Quantity). The MOQ fee can virtually double or triple the cost of the tag. This shows that it may not be efficient to use RFID is you are tracking low volumes of low cost items since the ROI will be difficult to achieve. Comparison of various types of UHF passive RFID tags and their pricing depending on quantity. 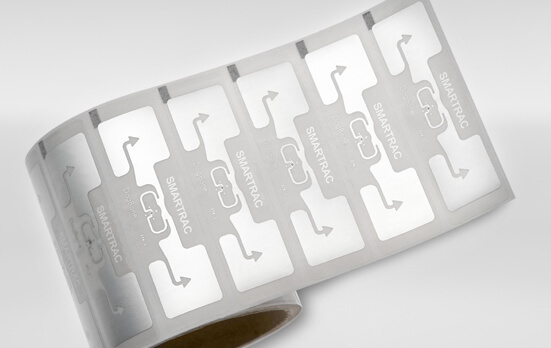 and How to select a correct RFID tag – Standards & Mandates. With RFID readers, you will need to count, one reader per one tracking point. Here you have a choice between fixed readers (these will be permanently installed at a location that tracked items often pass by/through, such as dock doors or entries and exits from buildings, rooms or other areas) and handheld readers (these are portable and can be carried from area to area, while doing the inventory. This provides slightly less automation, however, it may be sufficient for smaller operations or where there is no need for real time visibility). You can also use a combination of both that will provide you with the best flexibility. The cost of readers does not usually depend on quantity (unless you are ordering hundreds) but mostly on functionality and design. Please be aware that often the cost of a reader is not final as you will need to purchase also power supplies and power cables, cradles for handhelds, mounts and not to mention antennas and corresponding cables. Antenna (unless the reader comes with integrated antenna, which has its advantages and disadvantages). Antenna cost depends on the design, size, tuning, etc. Antenna cables (unless the reader comes with integrated antenna, then you will not need cables, only if you chose to attach another external antenna). Cable cost depends on the loss and length. There are some exceptions to the above, where you can find a fixed reader that is powered over USB or Ethernet and therefore you will save on power supply and cable, but must have the USB or Ethernet cable and in case of POE also appropriate POE receptacle on the wall. Charging cradle + power supply + power cable (more convenient but optional, often you can charge a handheld with supplied USB cable using a PC). 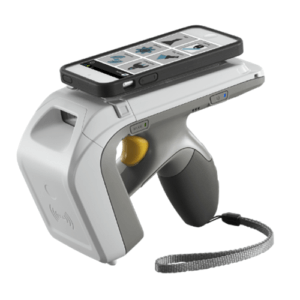 Smart Phone or Tablet (optional) – in case of sled readers, when a handheld gun uses attached smart phone or tablet for user interface and processing with an app. To learn more about various types of reader and how to select the best one, review our article on Interrogation zones and articles on How to Select an RFID Reader and How to Select an RFID Handheld. 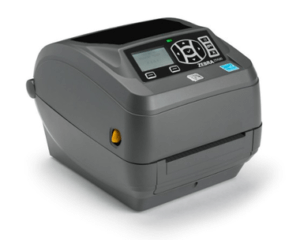 RFID Printers Encoders are used to print information on smart labels or wet inlays and encode data into the RFID tags. This is a good option for high volume tagging. 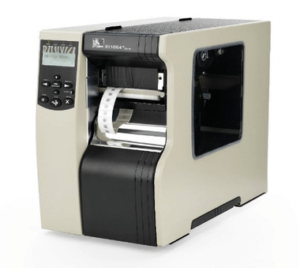 If you don’t need to print on the label, you can do the encoding only with a handheld and save the cost of the RFID printer encoder, however, this is a slow process and good only for low volumes. Sometimes, you can just print information on labels using a regular barcode printer (not RFID) and either use pre-encoded data already on the tag or encode it using a handheld. This is a much slower process and suitable only for low volume tagging. Optionally, you can also have your labels or tags pre-printed and pre-encoded, which will save you some hassle and printer cost, on the other hand, if you need to make changes or quickly generate more or custom prints and encodings, you are out of luck. When pricing printers, don’t forget about the ribbon or printer cartridge, if you use thermal transfer media (most common for industrial applications and most durable). Learn how to select the right RFID printer encoder and supplies here. For inventory management you may need two software options – On-device Software and Back-End Software – that will work together for the most efficient operation. However, in some cases, you can also use only one of these options on their own, especially for low volume tracking. The most basic app could start at about $7000 (depending again on what’s included) and could go up to $20K or more. This is the main application that makes or breaks the solution and it will have the largest price variation. This is because it is customized to your needs and increased complexity increases the price. The Cloud-based model allows for the largest flexibility. The application is hosted in a cloud and is accessible from anywhere with a browser and Internet connection. User name and password would allow access to each employee or operator only to the part of the system they are authorized for. The Cloud-based system is especially useful in large facilities with many workstations. 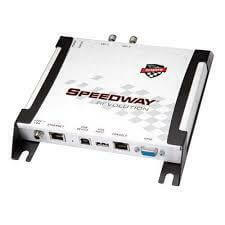 In addition, this system can be also accessed on the go through a mobile device. Slight disadvantage is the added cost of Cloud-hosting. In the On-premises model the application is installed onto a local machine (one or more). This is a good solution for installations where due to the security concerns, the systems are not allowed to access the Internet and also for small scale installations, where only one or two machines are used for the system. In this case, there is no cloud hosting cost, however, it is impossible to maintain or upgrade the system remotely and any such action will require time and travel to the site. Whether there is a device control layer. How complex the business logic is. If there is a connection to the legacy systems and how complex is the data sharing. Both models can be priced starting at $10-15K and go to hundreds of thousands. Average medium scale system can be around $75 – $150K. A great example of such a software application (platform) is Tagmatiks. Read here how Tagmatiks is used for inventory tracking. Below is an overview of the estimated costs of high, medium and low range RFID solution for inventory tracking. We are estimating a system with 1000 tags, one fixed reader, one handheld reader and one printer encoder as well as software and labor. Please note that the costs are estimates and the actual costs will differ based on the factors we discussed. The Part 2 of the Comparison of RFID, NFC and Barcode for Inventory Tracking discussing NFC and Barcode and providing a total overview of all technologies can be found here.